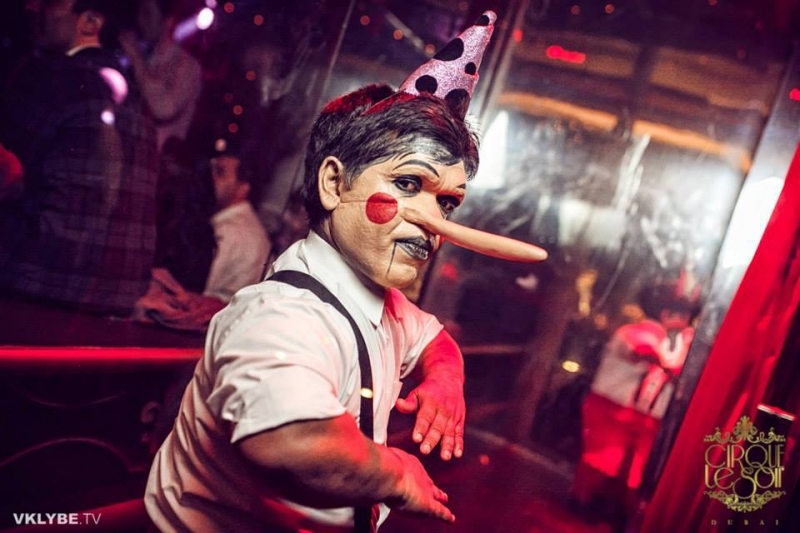 Cirque Le Soir Dubai, the DARING NIGHTCLUB, was launched on November 15, at The Fairmont Hotel..
Get ready to be seduced by spectacular theatrics and world class, extravagant circus performances in a markedly seductive atmosphere designed by International Designer, Stephane Dupoux. Be prepared to enter another world of partying. A world where you will join the creatures of the night, for a decadent time with delicious treats, divine entertainment and devious antics. Originally launched in London at the end of 2009, Cirque Le Soir has quickly become home to A-List celebrities, including the likes of Usher, Lady Gaga, Lindsay Lohan, David Guetta, Black Eyed Peas, Scarlett Johansson, Leonardo Di Caprio and Princess Eugene to name but a few. Stimulate your senses, push the boundaries of entertainment, and revel in a clubbing experience like you have never experienced before.